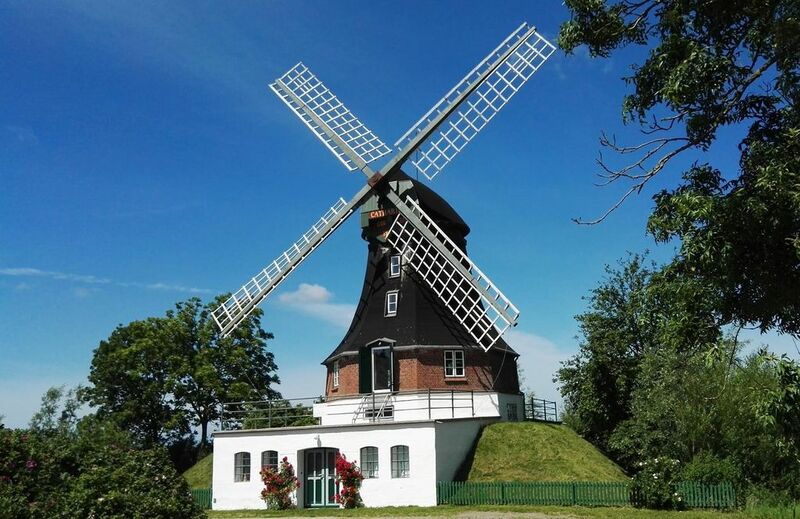 Surrounded by pastures with grazing sheep and cows this beautiful, historic windmill is situated in the North Sea peninsula Eiderstedt - near St. Peter Ording with one of the most beautiful sandy beaches of Schleswig-Holstein. The historic windmill is stunning. Here you can experience the comfort of a special kind - spread over three levels tastefully furnished! Enjoying an idyllic and quiet location - away from the hustle and bustle. With a floor space of 190 square meters / 2050 square feet and three separate bedrooms and an additional alcove bed in the living area - Windmill Catharina accommodate 6 - 8 persons.